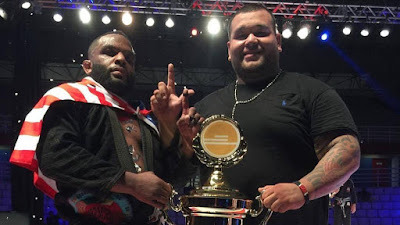 DJ Jackson is the winner of the Copa Podio Middleweight Grand Prix! In final match DJ Jackson defeated Fellipe Andrew by advantage. “This, of course isn’t the only accomplishment on Jackson’s long list of wins. DJ is a multiple-time IBJJF Champion as well as a Grappling Pro and Gracie World Champion. He is famous for winning the IBJJF World Championship in every belt division leading up to black belt.” – said his instructor, Professor Lloyd Irvin Jr.
Manaus has just witnessed the crowning of Copa Pódio’s brand new middleweight king. The challenge set forth by the famous Brazilian based jiu jitsu promotion set a challenge between black belts vs brown belts, which led to a few fun match ups and bouts we are not used to seeing in a big event such as CP’s Grand Prix.